This article was originally published here on Muftah on Tuesday, April 22, 2014. 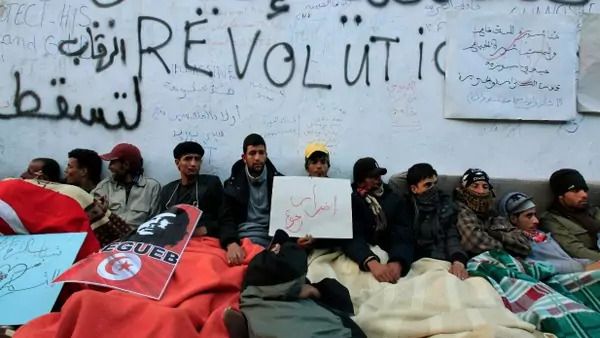 It has been more than three years since the uprisings in the Arab world began. The civil war in Syria, the persistent conflict between rebel militias and the government in Libya, the return of authoritarianism in Egypt, and the ongoing bloody crackdown in Bahrain all make for considerable hand-wringing among regional observers—to say nothing of Middle Easterners themselves, who once hoped for a better future. Each post-uprising election, constitutional reform, and declaration of faith in democracy by people who never previously committed to democratic ideals have not become the “turning points” that so many hoped they would be. Instead of democratic transitions, a diverse range of political systems is the most likely result of the uprisings, among which democracy seems the least probable. Some analysts believe political trends or indicators are actually moving in the right direction, and claim the region’s remaining despots cannot possibly cling to power when their citizens have become politicized and mobilized. They also see what is happening in the Middle East today as a process comparable to the wrenching emergence of democracy in Europe. These assessments, however preliminary, are based on hope and faith rather than facts on the ground. In Egypt, the old political order—discredited long before the January 25 uprisings—remains essentially intact, which hinders the development of a new more just system. Those who previously lent their voices and prestige to democratic activism have, after three tumultuous years, become authoritarians in spite of themselves.